Great teaching is at the heart and soul of Bear Creek. 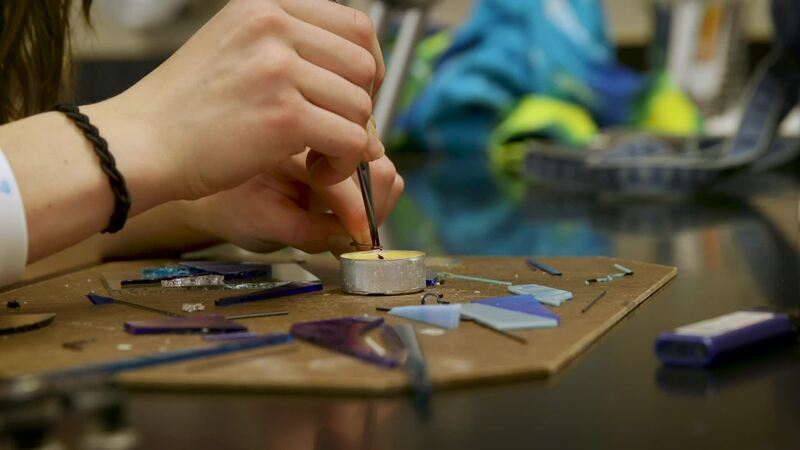 Sparking curiosity, encouraging personal responsibility, and instilling confidence in each student are central aspects of the Bear Creek teaching philosophy. Our teachers are drawn to Bear Creek by our mission and curriculum, and the opportunity to share their knowledge, expertise, and faith with students in a rigorous, challenging academic environment. They also appreciate the school’s small class sizes of 16-18 students, which gives them a chance to get to know each student individually. A majority of our teachers hold advanced degrees, and the average tenure of a faculty member is 10 years. JanTerm is intentionally different from what students experience during their regular semester classes in Middle School and Upper School. Students choose four topical two-week seminars that offer a greater opportunity to explore new course topics which may not fit into the traditional academic year, but are perfect for shorter, more intensive study. The Bear Creek School received the Association of Christian Schools International (ACSI) Exemplary School Programs Award for our Shakespeare Immersion Program. Students in grades 4 and 6 investigate and experience theater by studying and performing classical Shakespeare. All students in grades K-6 attend these drama performances. This unique window into the world of Elizabethan drama provides an exceptional platform to teach about the human condition and make substantive connections to biblical themes while equipping young students with the skills to perform. DIG (Discovering and Investigating God’s Creation) is an outdoor science experience helps preschool students have a sense of wonder as they explore God’s creation. They examine rocks and trees, leaves, flowers, and grass. With delight they plunge their fingers deep in the soil of our DIG boxes searching for spiders, snails, and slugs. They observe and track the growth of the plants in the garden beds. Kale and parsley grown and nurtured by our preschoolers are popular preschool snacks. As they walk through the wetlands they listen, look and feel; discovering this amazing habitat.